Logistics M&A Activity: Where Does the Customer Fit? Trees grow in two ways: up and down. We see the up – the branches and the leaves. We don’t see the down and how the roots, like the tree limbs, become larger and more expansive through the years. Roots are pretty important. 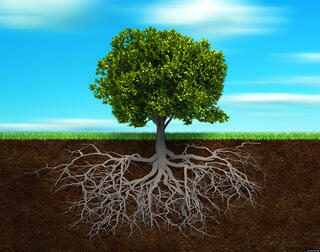 As they penetrate deeper into the soil in search of water and nutrients, roots anchor the tree solidly in the ground. Secondly, they nourish the tree, absorbing water and nutrients and conducting them to the stem and the rest of the tree. Without a healthy root structure, trees wither and die. Companies have roots, too. A company’s roots are defined by its history, its corporate culture, and the operating principles upon which the firm was founded. A company’s roots function in much the same way as tree roots. First, they anchor the company. They help define it’s identify, what it stands for. And they nourish, too, providing the core principles that can be used to guide strategic decisions and to direct associate behavior on a daily basis. So what’s all that got to do with logistics M&A activity, particularly in the third party logistics industry? Well, in some cases it feels like colossal companies are emerging almost overnight in our industry – huge, new branches jutting out from the trunk without a supporting root structure. The rationale for every acquisition, of course, is that customers will benefit. And often they do. But is customer satisfaction really the driving force behind every acquisition? Or, for some, is this Amazon-like race for size and scale more Wall Street-driven? Both motivations can lead to financial success. Only one is an enduring formula for long-term success. In the wake of logistics M&A deals, new or merged companies can certainly try to define a culture, and then invest in videos and posters that tell everyone how to behave. But that’s not how roots work. They grow naturally, inch by inch, over years and decades. When considering third-party logistics providers, look beyond the size of the tree and check the roots. The most important qualities are often the least visible.